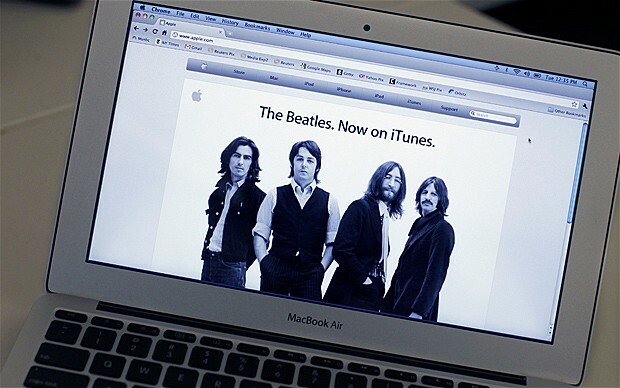 The Beatles Sell 2m Songs on iTunes – From Social Media, not Search! This is fascinating and a wake up call to those who doubt the future of social commerce. According to Experian Hitwise, it was social media — not search — that drove a lot of the online interest and, more importantly, the online traffic surrounding The Beatles addition to iTunes. Consider this stat: On November 16, the first day Beatles songs were available on iTunes, 26% of UK traffic to Apple.com came from social media, about double the amount that came from search. And Hitwise says Apple received a “huge spike” in UK traffic coming specifically from Facebook. The week prior to The Beatles launch on iTunes, Apple was the 86th most popular outbound destination from Facebook; after the launch, it jumped up to the 20th most popular. Hitwise says that one in every 200 web site visits that left Facebook went straight to Apple’s web site. To an extent this demonstrates that you reep what you sew – sew what? (sorry). Certainly the blogosphere was buzzing with word that, according to Apple, “Tomorrow will be a day you’ll never forget” the day before the announcement that iTunes was to offer Beatles songs. But the fact that Apple chose to seed this information on social media so heavily shows just how important this movement is going to be in the future? What is the long term future for search marketing given the consolidation of social and search functionality between Facebook and Microsoft in apparent alliance against Google? No doubt social media is here to stay. I liked the buzz “Tomorrow will be a day you’ll never forget’ because I got me curious, but found out what it was after a couple of days. Do you have the sales conversion rate from social media for the U.S. by any chance? Thx! The US numbers show search generated more traffic to apple.com than social sites, despite “a marked increase in social media traffic to Apple.com and a drop in search traffic on November 16th”. I confess I was a little let down by the Beatles announcement! Maybe because I’m a fan and have their entire back catalogue already? Love your new site btw! Interesting read, but somewhat skewed conclusion methinks. Firstly there was a huge news announcement within the media in general so no doubt consumers all jumped in and put it on their facebook pages. Most people also know about itunes and know how to get there without using a search engine. I would suggest that if the Beatles catalog had been launched by a lesser known company, such as Ovi for example, the results would have been somewhat different. This certainly shows the power of B-C marketing for social media, but I wouldn’t start banging the nails into the SEO coffin just yet!